We held two lively Community Planning workshops – the first at Channing School on the 16th January 2013 and the second in the Murugan Temple on January 28th. 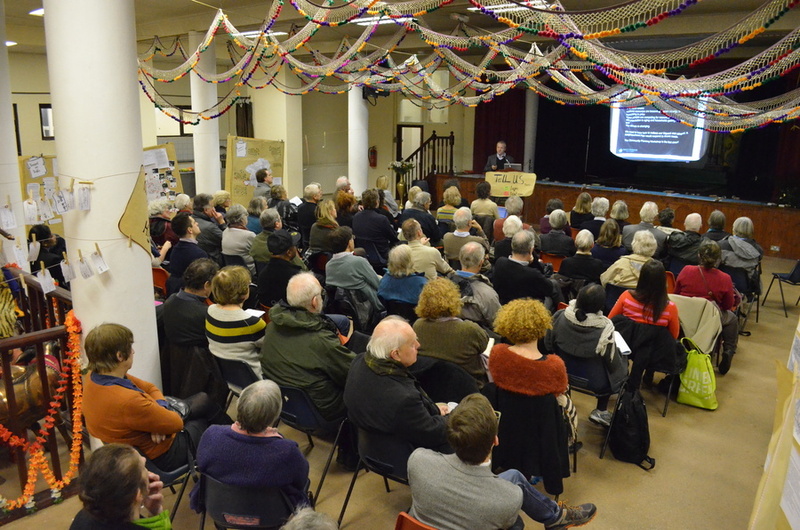 Both halls were packed with local residents and businesses ‘voting’ on the ideas that have come in so far – both from our consultation work and the more than 50 people working in Plan groups. In between the two public workshops, there was a full day’s Stakeholders’ Workshop at St Michael’s Church Hall where ideas were developed further with our principal stakeholders, including TfL and both Camden and Haringey Councils. All the sessions were facilitated by the Prince’s Foundation for Building Community. We will be publishing all the concerns and potential solutions raised in the workshops and by the Plan groups on this website over the next few weeks – and give you the chance to tell us what you think of them.